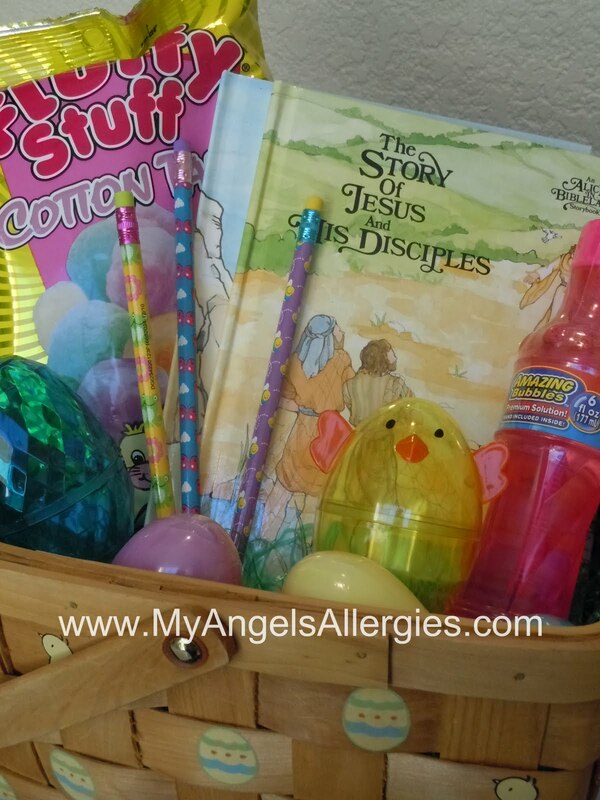 Traditionally, Easter baskets are filled with chocolate, jelly beans, stuffed animals and all sorts of other items which are unsafe for children with allergies. Coupons for: "An extra trip to the park", "Get out of chores for a day", "Stay up an extra _____ minutes", "Dinner of choice", "30 minute activity of choice with Mom or Dad"
For some more good ideas, check out this blog post by Slave To Target. 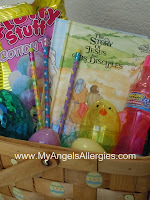 What allergy-friendly items does YOUR bunny put in the basket?